Plan your own Scottish getaway with the help from your fellow members. Scotland is famed for its dramatic landscapes, hearty food, vibrant city culture and rich heritage; as well as its world-famous whisky. Based on your discussions on our online community forum, Club Together, here are some Scottish tour suggestions. Visit the must-see destinations and discover the true spirit of Scotland. 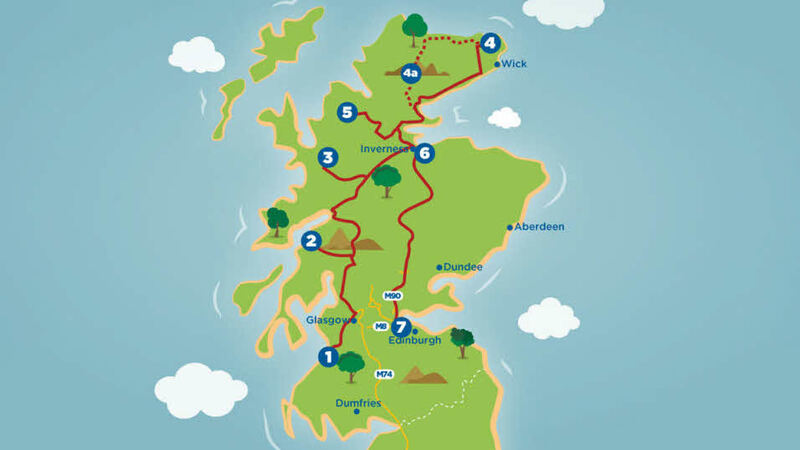 Whether you're looking for a relaxing break by a loch or want to get out there and explore Scotland's most popular attractions, these tours really do offer something for everyone. 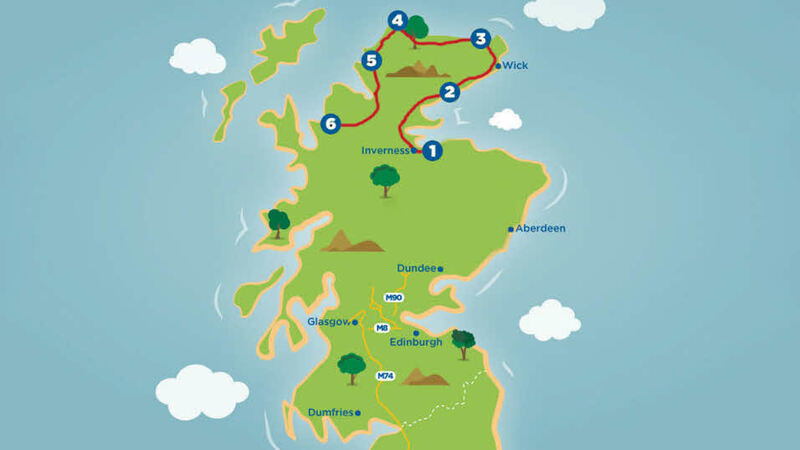 Often described as ‘Scotland’s Route 66’ the North Coast 500, the 500-mile round trip hugs the coastline of Easter Ross, Sutherland, Caithness and Wester Ross, taking in the incredible scenery along the way. This tour stops by a number of our Club sites and CLs. Top tip: Best time to travel is in April, early May and mid-September. Near the famous battlefield five miles east of Inverness, most North Coasters start at Culloden Moor, which faces a glorious, unspoilt view over the Nairn Valley. 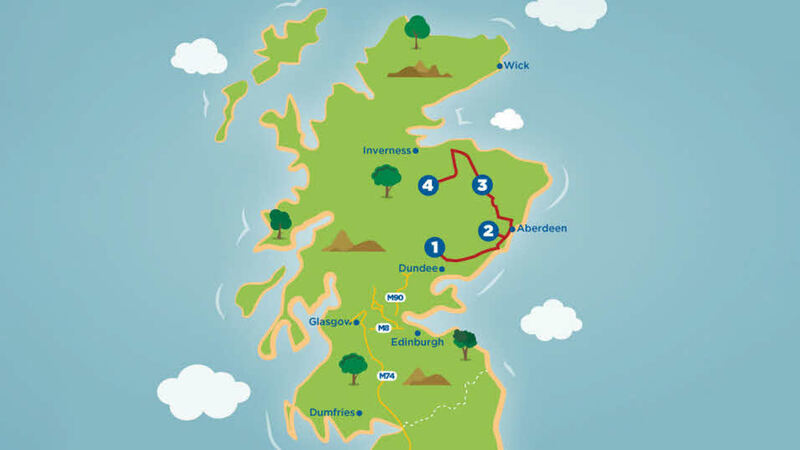 From here, we recommend heading anti-clockwise around the route, saving the best scenery until last. After watching the dolphins at Chanonry Point, head north through Dingwall and along the Cromarty Firth to Brora Club Site. Situated just 300 yards from a sandy beach and a pristine golf course, this is the perfect place to rest before heading north. The Club’s northernmost site, Dunnet Bay offers views over one of Britain’s few north-facing coastlines from the sea cliffs at Dunnet Head. From here, the route plunges in to jaw dropping scenery as you head west towards Loch Eriboll. Perched on a clifftop overlooking the fishing port of Kinlochbervie, 94 Laid is one of many Certificated Locations along the NC500 route. Pause to explore the pretty inlet of Scourie Bay and make sure to stop at Ullapool or Gairloch for the most spectacular views of the trip. A stopover at Birchbank provides a welcome break from another scenically overwhelming trip down the north-west coast. After traversing the valley of Torridon and visiting the Applecross peninsula, spend your last night in what’s often described as the ‘jewel in the crown’ of Club sites, Kinlochewe Club Site. Just 0.75m away from Beinn Eighe National Nature Reserve, this site is the perfect place to reflect on your North Coast 500 adventure. Visit historic castles, sample the finest scotch malt whisky, experience all that the city of Aberdeen has to offer and relax at the incredibly scenic Forfar Lochside Country Park. Start your journey at this site on the shores of Forfar Loch Country Park. Keen golfers are spoilt for choice with 16 courses nearby, whilst parents will enjoy the Kids for £1 pricing on this site. Gaze upon the statuesque Glamis Castle - the Queen Mother's childhood home – or explore Dundee city just 30 minutes away. From this riverside site, you can visit Balmoral Castle, The Queen's Scottish home-from-home, conquer the turrets, towers and winding stairs of Crathes Castle then hit the shops and see Aberdeen's famous granite architecture. Visitors can choose from 15 golf courses within a 25 mile radius of this site and explore Huntly Castle's ruins just half a mile away. Set in Cairngorms National Park, this site has plenty to offer. Climb to the top of The Cairngorms with the Funicular Railway and be sure to visit the world's only Malt Whisky Trail in Moray Speyside. Take a boat trip across to the beautiful Isle of Mull, see wild dolphins glide through the water, stroll around stately homes and gardens, or watch the Highland Games during the summer. Set in the grounds of Craigie Estate, Ayr Craigie Gardens is the perfect starting point for a Scottish cultural discovery. Visit the stunning Culzean Castle or take a stroll around the stately Dumfries House – visitors at this site can also take advantage of the midweek discounts. From the North Ledaig Club Site you can take a scenic walk on the deserted shoreline, great for wildlife spotting, or take a boat trip to the Isle of Mull. Mostly owned by the National Trust for Scotland, the land has been designated as a National Scenic Area, so unforgettable natural beauty is guaranteed. 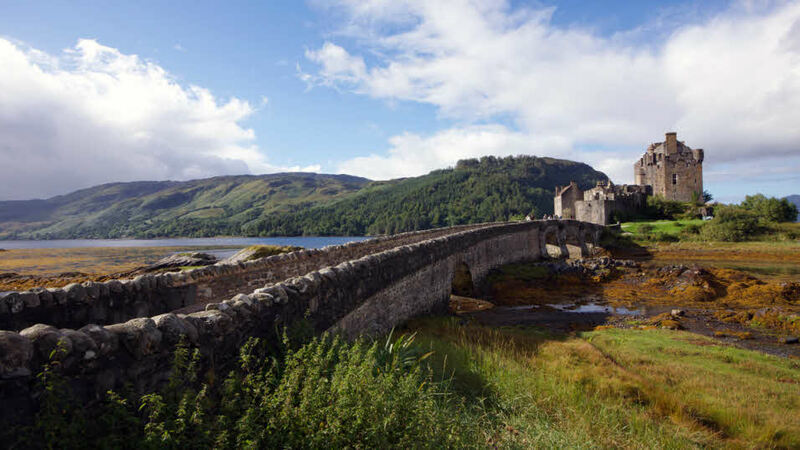 Explore the many National Trust sites nearby or take a trip to the 13th Century Eilean Donan Castle. The most northerly site on the Club’s network, you can take a day trip to Orkney from John O' Groats or watch Highland Games taking place in various towns. Members can also take advantage of midweek discounts. For an optional extra to your route, head along the beautiful north coast and stop off at our Altnaharra site which is a great base for exploring. Please note: parts of this route may contain stretches of single track road. Meander through the 20 acre Attadale Garden and woodland walk or enjoy a stroll along nearby lochs. Midweek discounts are available at this site. Step back in time with a visit to Culloden Battlefield and Visitor Centre or watch dolphins at Charney Point – this site is steeped in history and glorious views. Situated just outside the heart of Edinburgh, this site is the perfect place to end your tour. Get up close to animals to Edinburgh Zoo or step back in time with a visit to Edinburgh Castle. Admire the spectacular coastal views at Bamburgh Castle, explore Scotland's cosmopolitan capital city and delve into Scotland's past at the Mary Queen of Scots Visitor Centre. Start your route at our northernmost site in England, which combines the spectacular scenery of Northumberland with visits across the border to Scotland. Explore one of the largest inhabited castles in the country, Bamburgh Castle and take a peek into medieval history at Berwick-upon-Tweed Castle. Midweek discounts are available at this site. Marvel at the ruins at the medieval Dirleton Castle and explore the East Fortune Museum of Flight to see their fantastic exhibition. Immerse yourself in the architecture and vibrancy of Edinburgh City Centre, hunt for the city’s hidden gems, and meet the animals at Edinburgh Zoo – this site has plenty to offer. Tee off at St Andrews Golf Course and visit the British Golf Museum, then visit the fascinating aquarium at Deep Sea World. Midweek discounts, plus Kids for £1 offers are available at this site. End your tour at Melrose Gibson Park, which is overlooked by the beautiful Eilden Hills. Explore the impressive Jedburgh Castle Jail and Museum and learn the history of Jedburgh at the Mary Queen of Scots Visitor Centre.